Sorry! With the Holidays, this thread of posts was delayed.. but we are back on track now! As talked about in my first blog post of this series, having a distinct identity is essential to online success. It raises your visibility and allows you to connect with your customers on a more personal emotional level. So discovering what your brand archetypes are, is central to positioning your company and products in a unique way. There are 12 of them, and we have already discussed The Innocent and The Regular Guy/Gal, The Hero and the Outlaw/Rebel and The Explorer and The Creator, so now we have two more.. The Ruler and The Magician. The Ruler’s “MO” is to control, and to create order from chaos. They are leaders, role models, responsible & organized. A drawback for a person under the Ruler Archetype is that they can lack a common connection or can be too authoritative or controlling. But good rulers are confident, responsible and fair. The Ruler consumer likes marketing that is not “dumbed down”, as that is beneath them. They want to see ads that reinforce their feelings of power. The Ruler customer likes products and brands that keep them organized, to restore order and that gives them control, as well as products that create stability and security. Ruler brands promise power, they speak authoritatively & spread they idea that they are the best of the best in their field. Ruler brands images do tend to be “masculine”. 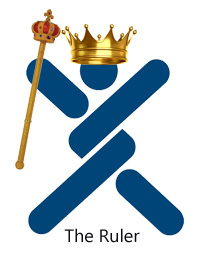 Some brands that currently cater to the Ruler archetype? American Express and Dyson. American Express has had many slogans over the years and often feature top celebrities. Such as the Queen of Soul, Aretha Franklin and Queen Bee (Queen B), Beyoncé, who recently sported a shirt that read: Queen Bee, I call the shots. Of course those ladies are not masculine, but they are at the top of the world with their accomplishments. I just watched a commercial for American Express from several years ago with Martin Scorsese going to a film developing store where he was having his one hour photos developed. He comes in and says.. “it’s been an hour”. The employee hands him his photos and Martin starts looking through them and is very upset about the quality of the images he took. But it was images of a little boy’s birthday party! Martin continue to go through them making comments about being no life in the images, it doesn’t make sense, images are far too nostalgic, lighting is bad, angle is off and etc. He was very upset with how they turned out and finished with he is going to re-shoot and calls his nephew on the phone and asks him if he wants to turn 5 again. The ad ends with the slogan, The Official Cards for Perfectionists. Dyson is a British brand that offers “The Most Powerful Vacuums”. Dyson ads first featured the inventor and founder Sir James Dyson, talking about how he could never find a vacuum that never loses suction, so he created one. Dyson professes to be the best of the best for home vacuum cleaners and because of this claim, they can assign a hefty price tag compared to other brands. But people still want to buy, because if you need to vacuum, might as well do it right the first time and not be hindered by vacuum bags and clogs. So if your products are intended to restore order, keep organized and products that give control to their users, then keep these brands in mind for your marketing. The Magician’s goal is to make dreams come true or to create something special. They are visionaries, charismatic, imaginative, idealistic and spiritual. Magician consumers like ads that are imaginative and inspiring. They need to feel that your products can make them wiser or can influence others. Magician brands promote themselves as providing knowledge and an experience. They focus on the individual and not the group and flatter the customer enough so they purchase. Magician brand ads should never be structured or without meaning. Some brands that do this well? Disney and Apple. Disney ads are full of imagination and imagery. Their ads focus more on the experience of visiting a Disney Theme Park versus their rides or shows. They address the viewer directly and put it in their hands that they can be the influencer of their child’s happiness by deciding to visit. Apple’s, Steve Jobs, was the ultimate magician. He was the wizard of the tech world, and brought the amazing world of technology to the average consumer. When Apple first released their iPhones, their slogans were “Apple reinvents the phone” and “This is only the beginning”. Since then they have released many iPhones, iPads and other devices that unlocks the Magician in all of us. Their latest ad for the iPad Pro promises to be the largest iPad ever and can take your creativity and productivity to an epic scale. 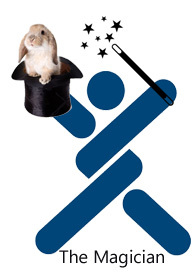 Do your products make the magician wiser or has the ability to influence others? Do your products inspire? Then keep these brands in mind when creating your marketing materials. Up next…The Lover and The Caregiver! CLICK HERE! This entry was posted on Thursday, January 21st, 2016 at 1:58 pm	and is filed under Marketing, Online Business. You can follow any responses to this entry through the RSS 2.0 feed. You can leave a response, or trackback from your own site. Thank You for putting together these wonderful posts on Brand Archetypes. Your descriptions with examples are helping me identify and focus on possible markets, as well as understand my passions and goals as a seller. Reading your posts to date led me to understand why I wasn’t excited about an intended market and products for it. Your posts are helping me determine my unique online identity, showing how to connect emotionally with my future customers and helping me develop a more exciting path to take. You’ve opened my eyes to other exciting and more appropriate (for me) possibilities and increased my customer awareness. Looking forward to reading more. Thank you for wonderful comments Louise! I’m very happy to hear that my posts are doing exactly what I intended them to do! Give ideas & to inspire! 🙂 I have two more posts to write for this Brand Archetypes series that I hope to have published within the next two weeks. I hope you enjoy those as well.